Stop me if you’ve heard this before. In the 31st century, alien xenophobia runs rampant. Y’see, the future Justice League believes that Superman was actually born and raised on Earth, protecting the planet from all the harm of the evil aliens. We know this isn’t true. 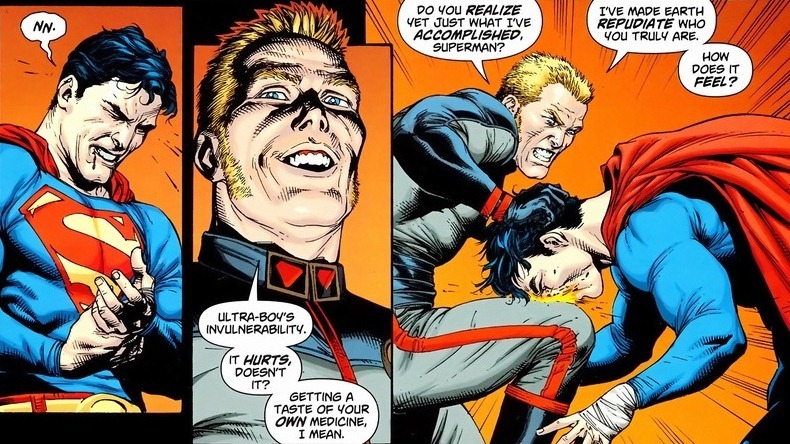 The Legion of Superheroes knows this isn’t true. The people of Earth though, believe it wholeheartedly. So Earth law decrees all aliens and alien supporters need to be killed or kicked off planet. 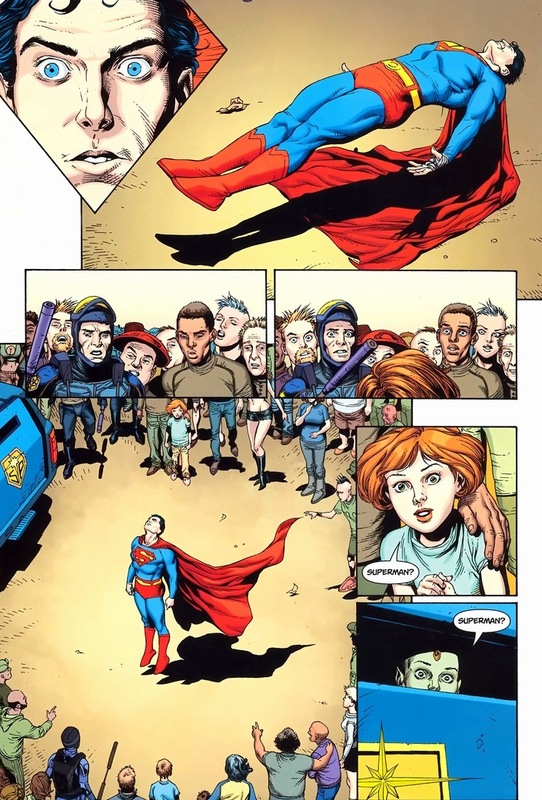 Because Superman is a symbol or something. 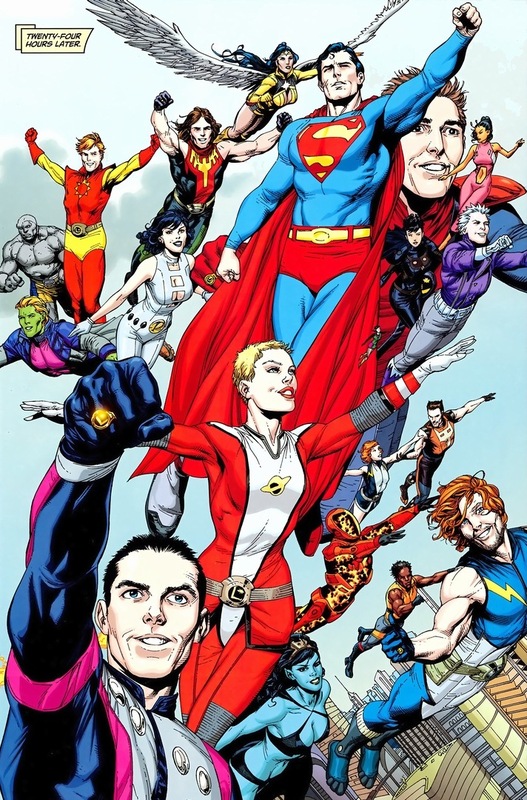 Look, what’s important is that the Justice League are the bad guys and the Legion of Superheroes are the good guys. 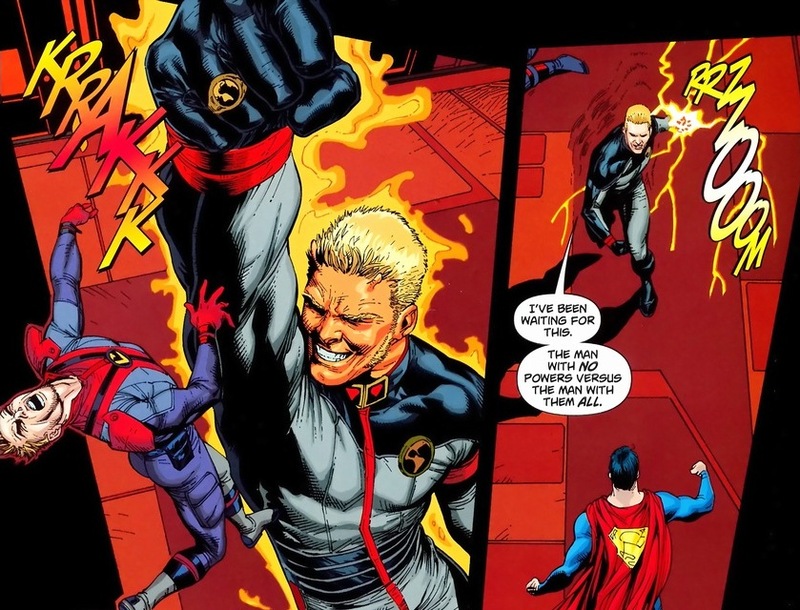 And when Superman gets transported into the future to help out, he fights with the Legion. One little problem. In the 31st century, Earth’s sun shines red. For the uninitiated, why is this bad? 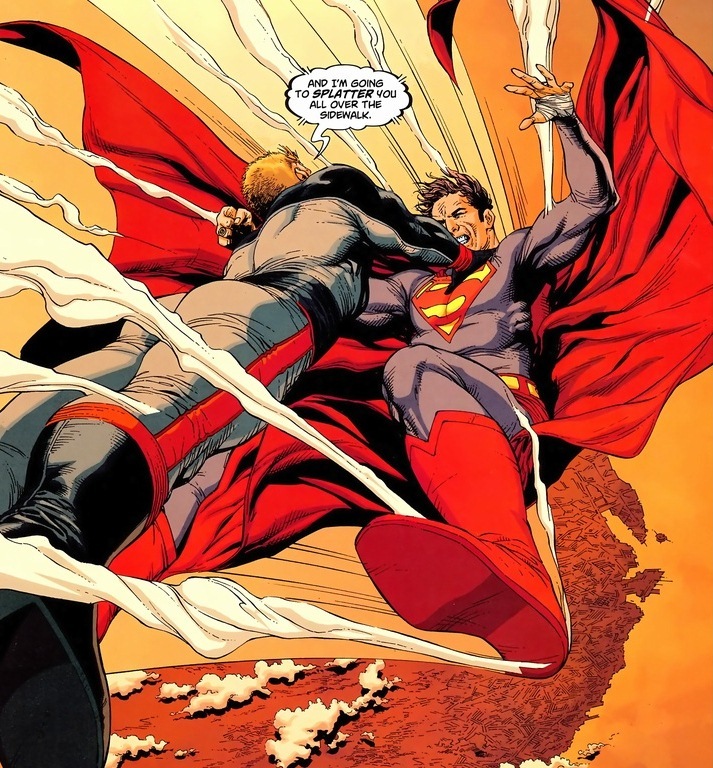 Well, remember there used to be a whole planet of Kryptonians like Superman. Yet they had the all the superpowers of you or me. The reason, we find out, is because red solar rays nullify any superpowers. 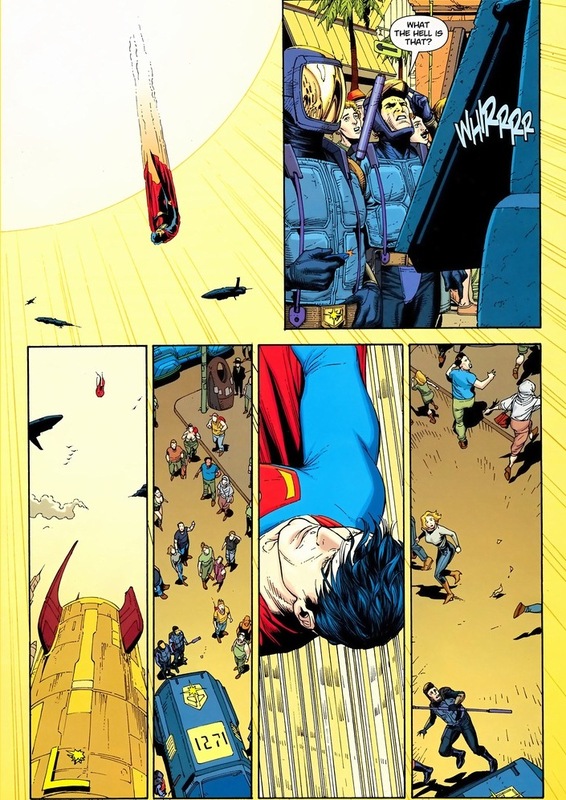 Yellow solar rays make Superman what we know and love. If that sounds kind of dumb to you, also understand that Superman just used a time machine to go a thousand years into the future. Suspend your disbelief and buckle in for the ride. How has Batman dodged hundreds of thousands of bullets in his crime fighting career? Because he has, that’s why. Anyway, Earth-Man, a supervillain whose power lets him permanently absorb the powers of other superheroes, leads the evil Justice League. At the climax of the story, which is our focus today, he possesses every superpower in his time. 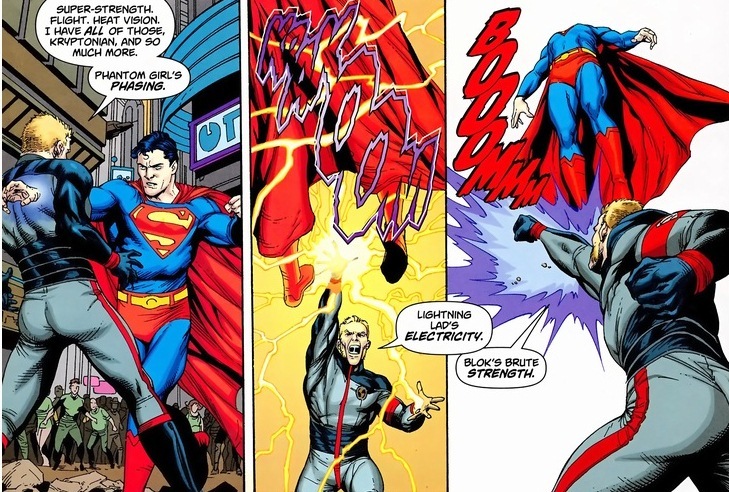 Superman, of course, currently has no powers. That’s not going to stop him as they sneak into the evil space station. 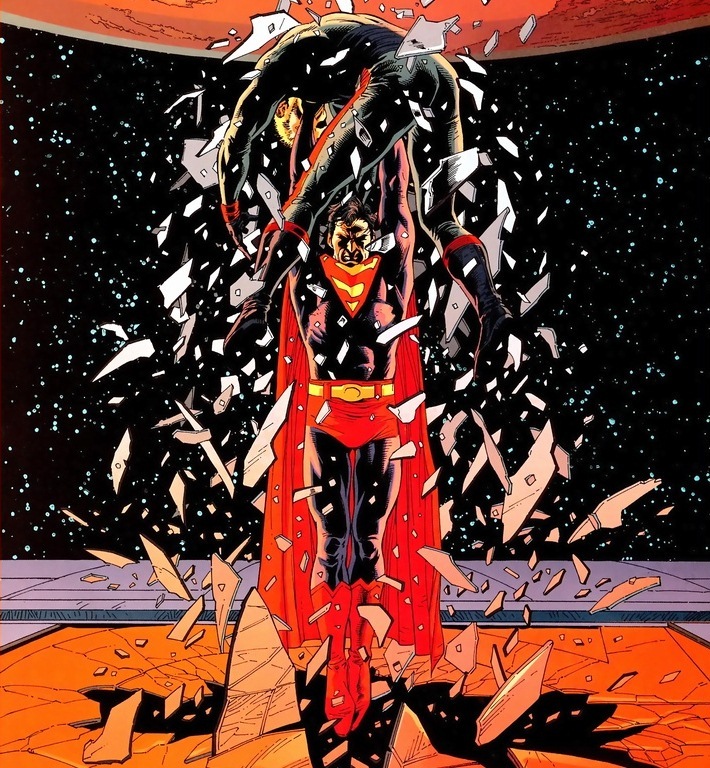 Enjoy the final issue of Superman and the Legion of Superheroes, written by Geoff Johns and drawn by Gary Frank. That dazed alien lady’s one of the lost Legion(naires?). 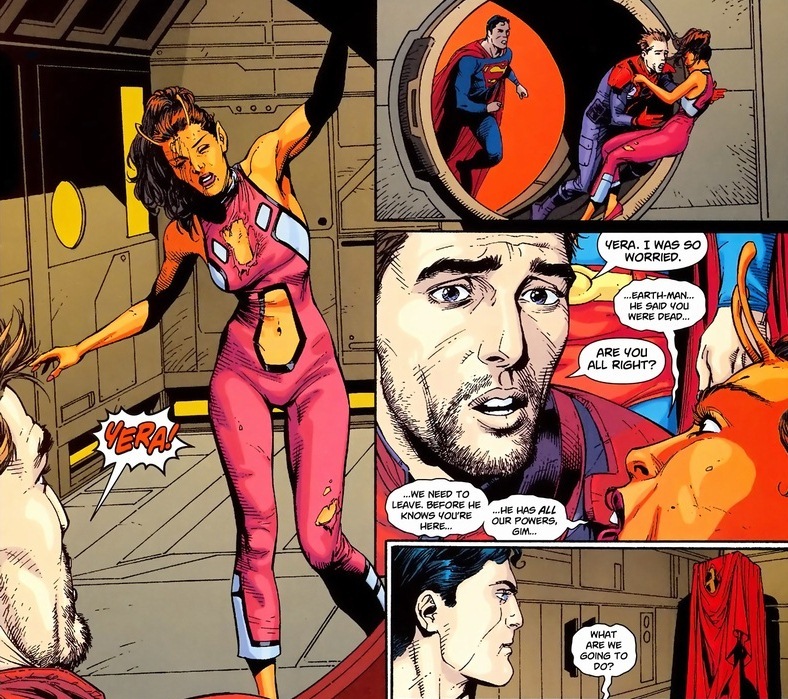 Also, as Superman’s suspicious look suggest, she’s not one the Legion(naires?). Turns out Earth-Man absorbed some shapeshifting. And why does Earth-Man want to kill the symbol and inspiration for all the future Earth’s superheroes? Insecurities, greed, and other personality blunders I’m not going to show you. More importantly, this is like Batman going up against Superman, if Batman didn’t have any kryptonite, a utility belt, or anywhere to hide. Not going well for our hero, huh? But despite his name, you know something Earth-Man doesn’t have? Yes, the unrelenting spirit of humankind. Y’know, the stuff that the alien from Krypton spills out of every pore. 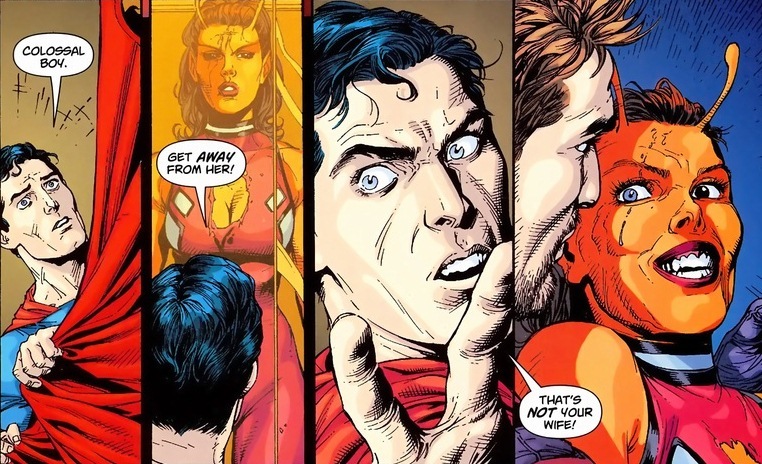 Allow me to present the next few panels clearly exhibiting both the bravest and stupidest action Superman has ever taken. 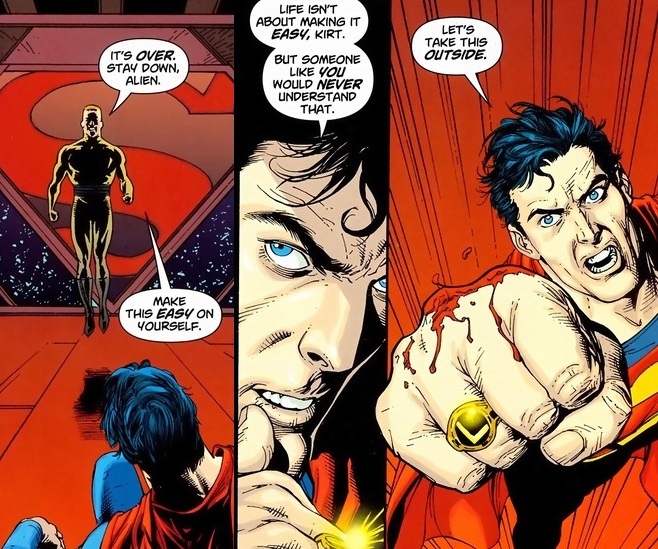 Now before you anxiously await the next panel where Superman’s head pops, that ring he wears lets him fly on Earth and in space. 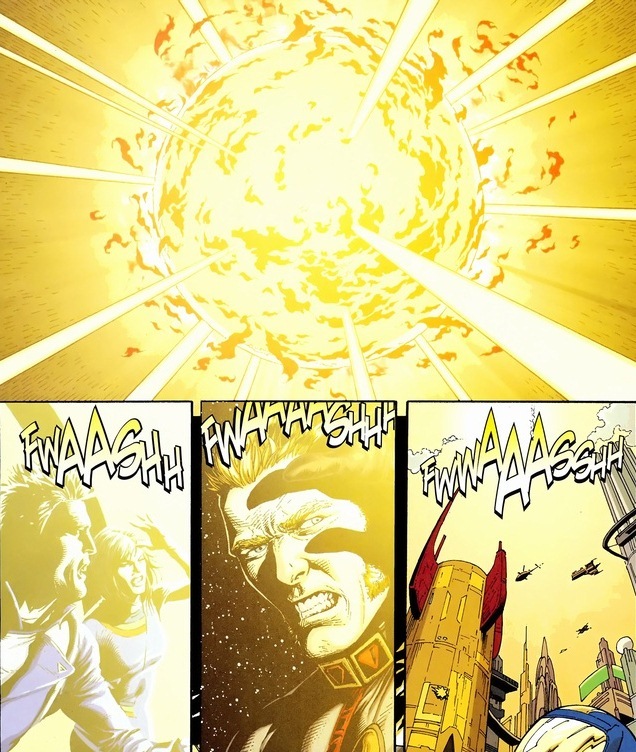 Unfortunately, Earth-Man also knows this. As we cut back to the space station, the tension builds. Superman has about a minute before he becomes superpaste. Y’see, the superhero Sunboy had been used to keep the sun a nice shade of crimson. Can the Legion wake him up in time using their secret weapon of attractive alien tongue? Of course they can. 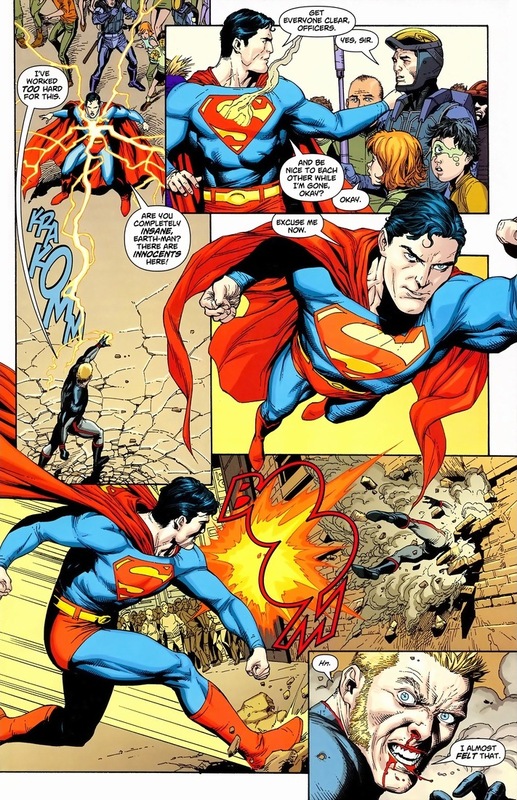 But will Superman get his powers back in time? Of course he will. 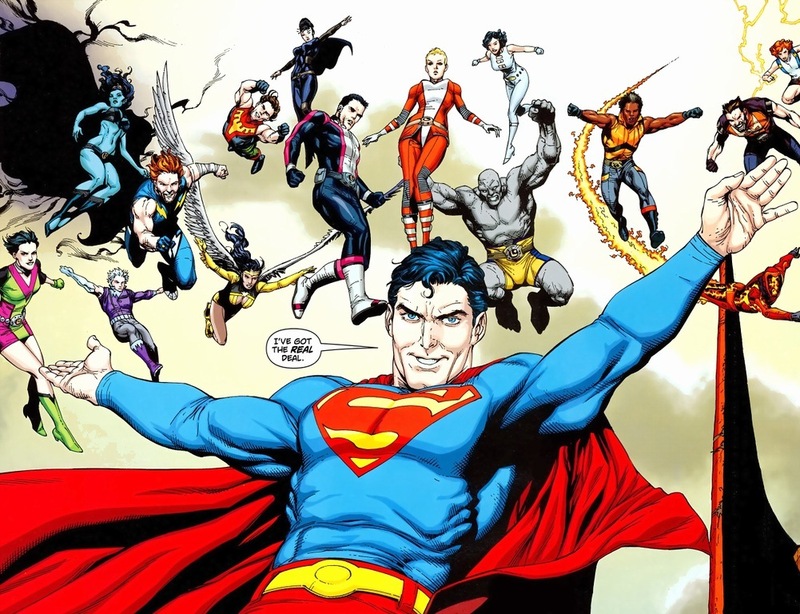 Who leads the Justice League back in the 21st century? Who commands respect and admiration through his unwavering moral attitude? Darn tootin’ it’s Superman. 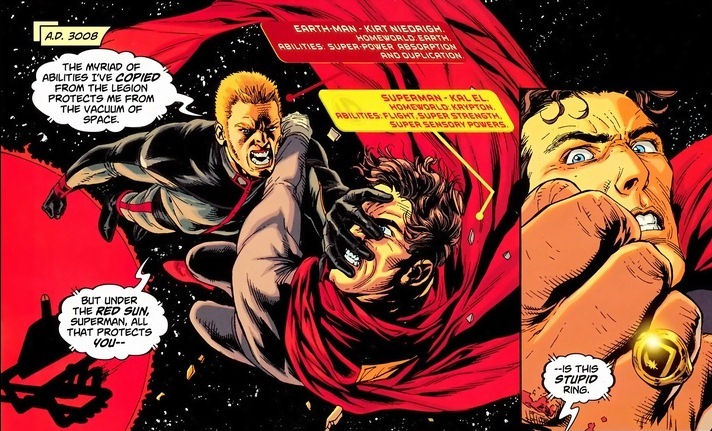 You have to understand, Superman most likely has the ability and power to single-handedly destroy planets. 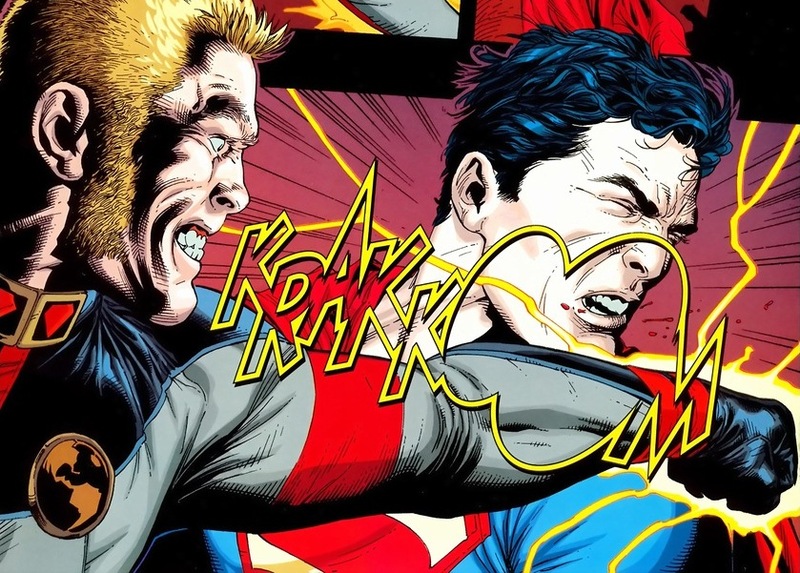 No one’s stronger, faster, or tougher than the Man of Steel. His crazy amount of power makes his devotion to the law of his country and protecting the innocent citizens impossible to stray from. Because the second he punches a hole through a criminal’s chest or doesn’t pay his taxes, the people of Earth will cry themselves in fear. If he didn’t hold back, no one could stop him. You know why Batman can beat Superman? 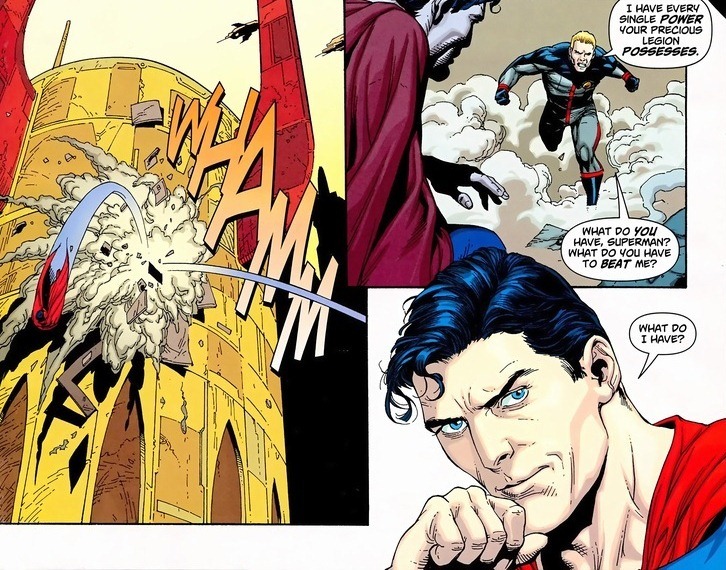 Because Superman has too much moral integrity to simply smush Bruce Wayne into a wall smear within milliseconds of their fight. And now Earth-Man is going to know who he’s really up against. 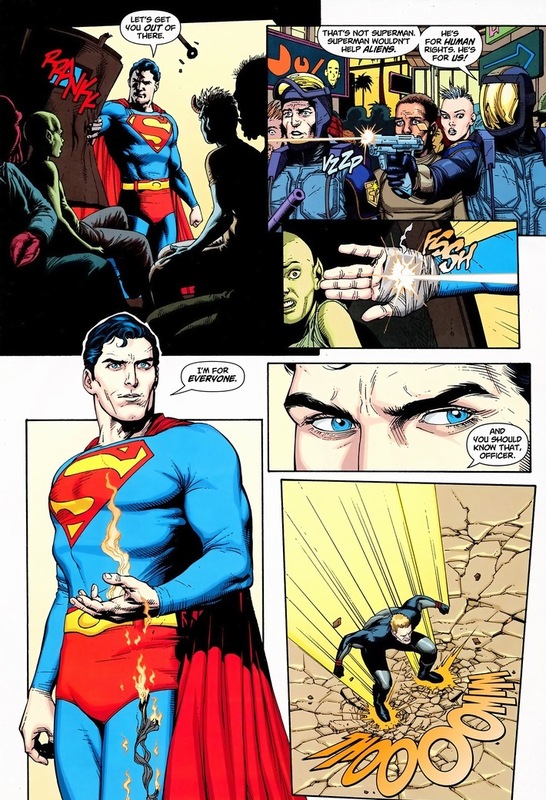 He’s going to understand why of all the superheroes in existence, Superman’s legacy rings the loudest a thousand years later. 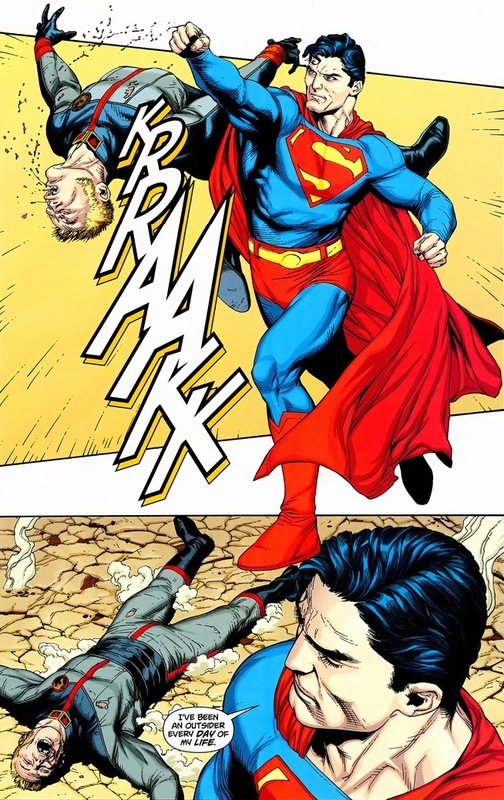 Though to be fair, Earth-Man does happen to have all of Superman’s powers. And some extra ones. What does he have? A ray gun? Oh, way better than a ray gun. I’m skipping a page or two, but the Legion of Superheroes, freshly revived from their space pods, attacks Earth-Man all at once. 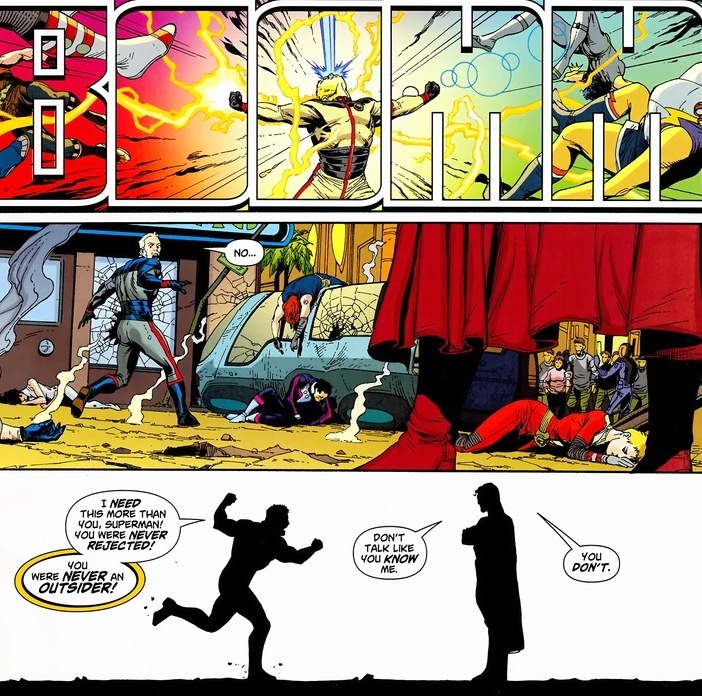 They actually do fairly well, until our antagonist unleashes his rainbow powers. 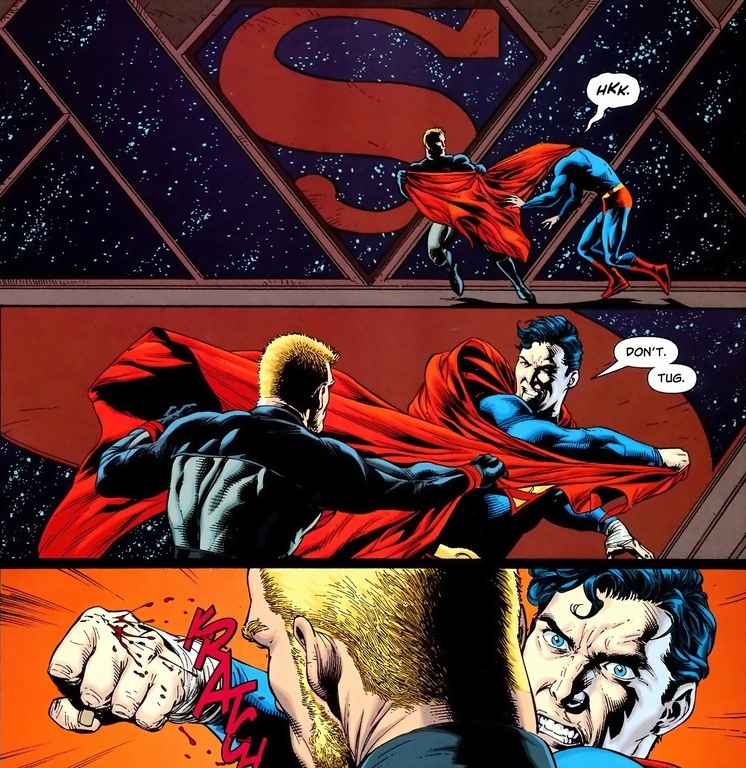 Still, our villain lost the fight the moment Superman gained back his strength. Delightful knockout. 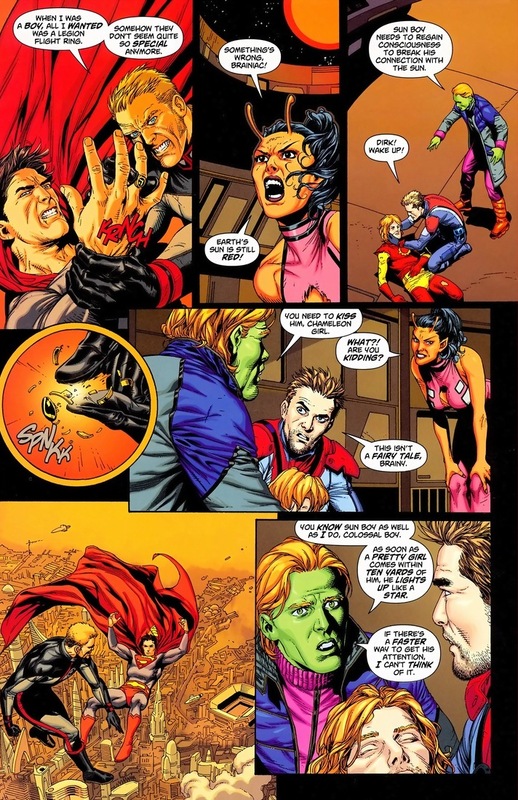 Don’t feel bad, Earth-Man’s a sociopath and deserved every bit of humiliation. Plus, now all the superheroes get to celebrate the only way comic books end. That’s right. Flyovers and smiles. Happy endings are the best. You’re wrong if you disagree. They seriously went with “Earth Man” as the name for a villain? Was “fill in the blank” already taken? Well he has renamed himself. In the future calling himself ‘Earth Man’ was the same as calling himself ‘Captain Nazi’ due to the connotations of the story. It was worse back when he first appeared in the 70’s to apply for Legion membership. He used to be called “Absorbency Boy”. Earth-Man is awesome compared to that.